"Alison combines the experience of an industry vet, with the caring and compassion of a friend. She is out in front of every potential obstacle and carefully guides her clients every step of the way." -- Ben & Shauntel S.
Call or text me at 703-585-0733 or click here to Ask Alison. My passion is providing top-notch customer service and I look forward to helping you! You need a Realtor with extensive knowledge of the Loudoun County real estate market, who provides unrivaled customer service and expert negotiating skills -- you need Alison Mooney to be YOUR Realtor. Alison is a Washington D.C. native who is licensed in Virginia and loves living and working in Loudoun County. With an undergraduate degree in Marketing and a Master’s Degree in Organizational Development from Johns Hopkins University, Alison Mooney is a committed professional ready to help you with your real estate needs. Alison spent eight years in the corporate world negotiating in high-pressure situations and delivering executive training on productivity improvement and customer service. Alison Mooney is proud to work for Living Realty, LLC, Loudoun Gateway which is the #1 Real Estate office in Loudoun County. Ask Alison Mooney to help you achieve your real estate dreams! You will love living in Loudoun County because it offers so many diverse places to live! Loudoun County has it all – you can live in a master planned community in Sterling like CountrySide, Cascades or Lowes Island, or in Ashburn in planned communities like Broadlands, Brambleton, Ashburn Village, Ashburn Farm, Courts and Ridges and Belmont Greene. Or maybe you would prefer a Golf Course Community like Lowes Island, River Creek, Belmont Country Club, Lansdowne or Raspberry Falls. If you want to live off the Rt. 50 corridor, take a look at the wonderful communities of South Riding and Stone Ridge. Leesburg has fantastic neighborhoods like Lansdowne, Potomac Station, Woodlea Manor, Raspberry Falls and Edwards Landing. Loudoun County also has wonderful Active Adult / 55+ Communities like Potomac Green and parts of Ashburn Village. Want to build your own dream home? 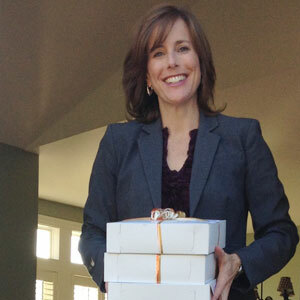 Ask Alison Mooney to show you Loudoun County’s numerous New Home Builders. 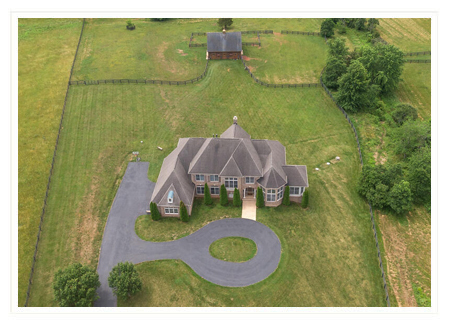 If acreage is what you’re looking for, check out Western Loudoun where you can even own a horse farm! 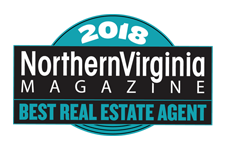 Voted Northern Virginia Magazine's "Best Real Estate Agents" 2018 - "Most Recommended"
Alison is a member of the Top Agent Network (TAN) for Loudoun County. This exclusive group includes only the top 10% of real estate agents in Loudoun County for membership. TAN is a private system that allows the top-producing real estate agents in local markets to share exclusive, non-MLS information. This privileged information can be crucial to your success as a buyer or seller of a home. Member agents post and share information about private listings, motivated buyers, local resources, even the latest industry trends. This ongoing exchange allows TAN agents to be “dialed in” to local real estate as few agents are. Only one real estate agent in ten qualifies for membership. Loudoun County is consistently recognized as one of the fastest-growing counties in the nation. Over the last decade, people have been flocking to Loudoun County because it is only 25 miles from Washington D.C. and you can get to Dulles International Airport from most parts of the county in less than 15 minutes. Loudoun County has seen an increase in job growth of 83% over the last ten years! This is due in large part to the abundance of jobs in the tech and telecommunication industries as well as Dulles Airport and our Nation’s Capital. Another huge advantage to living in Loudoun County is the schools. Many Loudoun County Public Schools have national rankings! But wait, there’s more… Metrorail service is due to come to Dulles Airport in the not too distant future. Alison Mooney is ready to find you the right home, at the right price! Ask Alison if you want to find the perfect home for you in Loudoun County. In addition to regular re-sales, Ask Alison to show you new-construction homes, short-sales and foreclosures. Alison also has experience navigating and negotiating For Sale By Owner properties. Alison Mooney will keep looking until you have found the home of your dreams. Are you relocating to the Washington D.C. area or Loudoun County? As a Washington, D.C. native and a proud homeowner in Loudoun County for almost 20 years, Alison Mooney can help you explore the area and find the right neighborhood for you! Alison Mooney started her career by owning her own Home Staging business and helping sellers like you prepare their homes for sale. Alison Mooney combines her home staging expertise with her supreme market knowledge and expert negotiating skills to get your house sold quickly and for top dollar. You want Alison Mooney to help you sell your home! If you are looking to buy or sell a home, you need to Ask Alison. Alison Mooney provides her clients with unrivaled attention and service. Helping you achieve your dreams is what Alison does best! "Buying and selling a home is one of the most stressful and emotional of life's experiences, and you need a realtor who is highly competent and trustworthy. Alison Mooney definitely meets that criteria. She was my agent for both the purchase and sale of my home and she was fabulous! Alison is professional, thorough, knowledgeable, enthusiastic, a good communicator, a good listener, friendly, and cheerful. She has outstanding personal skills, superb expertise of the real estate business, and integrity." -- Paula L.